Phoenix fell in love with the Scarlett Johnanssen computer generated voice? 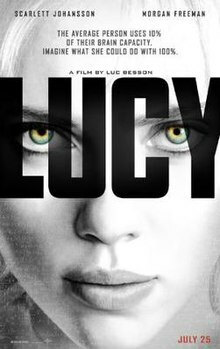 Remember Lucy and Under the Skin, where Johansson also played techno-chimeras. Imagine something like this: “John Jones II, a computer programmer in Seattle was married to Siri 9X 103, the computer system he helped to create, early generations of which have become a well-known feature on android phones. Mr. Jones, a graduate of Stanford, where he also received his Phd in computer science is the son of John and Sally Jones of Chicago. John Jones I ran OK Appliances in Detroit. Ms. 9X 103 was originally conceived as a voice recognition program by Apple Computer, but eventually became a robot and sexbot, who attained fully formed human features and attributes under the tutelage of Mr. Jones II. Female executives of Intel who created the microprocessors in her artificial intelligence and cyber gonads acted as bridesmaids at the ceremony which was held at the First Church of Computer Sciences in Palo Alto. Ms. 9X l03 will retain her maiden name." A Yoni Mitchell Fan Club? Who Is Kim Jong-un's Optometrist?